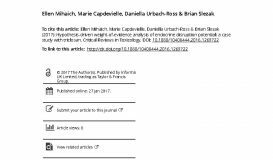 This listing of key studies on endocrine science is not intended to be comprehensive or exhaustive. 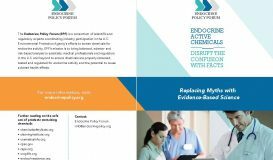 These studies are significant because of their high utility or their analysis which provides perspectives on the science and policy debate surrounding endocrine issues. 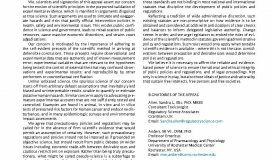 We, scientists and signatories of this appeal assert our concern for the erosion of scientific principles in the purported validation of experimental evidence, which is manifest in arguments disguised as true science. Such arguments are used to simulate and exaggerate hazards and risks that justify official intervention policies in health, safety and environmental issues. 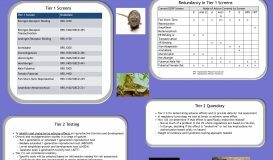 EPA’s Endocrine Disruptor Screening Program Tier 1 battery consists of eleven assays intended to identify the potential of a chemical to interact with the estrogen, androgen, thyroid, or steroidogenesis systems. We have collected control data from a subset of test order recipients from the first round of screening. The analysis undertaken herein demonstrates that the EPA should review all testing methods prior to issuing further test orders. 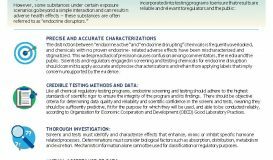 In the present study, existing regulatory frameworks and test systems for assessing potential endocrine active chemicals are described, and associated challenges are discussed, along with proposed approaches to address these challenges. 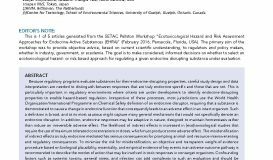 Regulatory frameworks vary somewhat across geographies, but all basically evaluate whether a chemical possesses endocrine activity and whether this activity can result in adverse outcomes either to humans or to the environment. 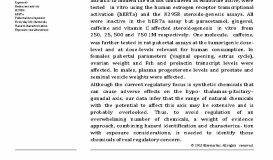 Because regulatory programs evaluate substances for their endocrine-disrupting properties, careful study design and data interpretation are needed to distinguish between responses that are truly endocrine specific and those that are not. 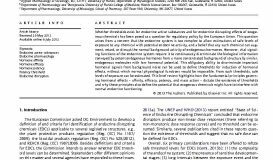 This is particularly important in regulatory environments where criteria are under development to identify endocrine-disrupting properties to enable hazard-based regulation. 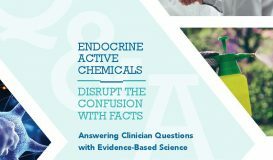 The CIR Expert Panel considers ingredients that have demonstrated endocrine activity in such tests as potential endocrine disrupting chemicals (EDCs), depending on the relevance, quality and concordance of the available studies, the doses and concentrations tested and the dose- or concentration-response relationships observed in such studies, the affinities of the ingredients for endocrine receptors or other components of the endocrine system, the potency of endocrine-active ingredients compared with endogenous hormones, and other important factors that contribute to an assessment of the overall weight-of-the-evidence (WoE). Some argue that Hazard Identification (HI) for endocrine-active chemicals (EACs) sho uld be based on the potential for a chemical to act via an endocrine mode of action (MoA) rather than on the demonstration of advers e effects produced via an endocrine MoA. 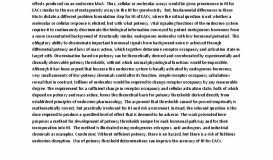 Thus, cellular or molecular assays would be given prominence in HI for EACs similar to the use of mutage nicity assays in the HI for genotoxicity. But, fundamental differences in these MoAs dictate a different prob lem formulation step for HI of EACs, where the critical question is not whether a molecular or cellular response is elicited, but with what potency. There is debate over whether the requirements of GLP are appropriate standards for evaluating the quality of toxicological data used to formulate regulations. 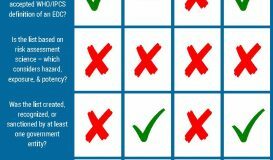 A group promoting the importance of non-monotonic dose responses for endocrine disruptors contend that scoring systems giving primacy to GLP are biased against non-GLP studies from the literature and are merely record-keeping exercises to prevent fraudulent reporting of data from non-published guideline toxicology studies. 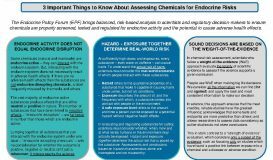 EPA’s Endocrine Disruptor Screening Program (EDSP) was initiated in 2009-2010 with the issuance of test orders requiring manufacturers and registrants of 57 pesticide active ingredients and 9 pesticide inert/high production volume chemicals to evaluate the potential for these chemicals to interact with the estrogen, androgen and thyroid hormone systems. 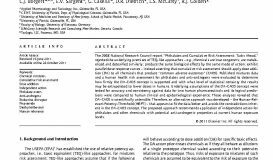 Endocrine disruptors (EDs) are substances that cause adverse health effects via endocrine-mediated mechanisms in an intact organism or its progeny or (sub) populations. Purported EDCs in personal care products include 4-MBC (UV filter) or parabens that showed oestrogenic activity in screening tests, although regulatory toxicity studies showed no adverse effects on reproductive endpoints. 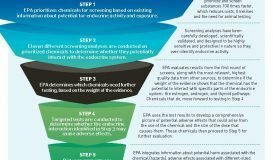 The U.S EPA’s Endocrine Disruptor Screening Program (EDSP) is a step-by-step, science-based process to identify chemicals that interact with the endocrine system (endocrine-active chemicals), and chemicals that cause adverse health effects as a result of their interaction with the endocrine system (endocrine disruptors) in real life scenarios. 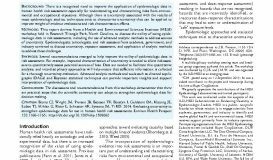 There is a recognized need to improve the application of epidemiologic data in human health risk assessment especially for understanding and characterizing risks from environ­mental and occupational exposures. 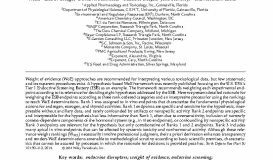 Although there is uncertainty associated with the results of most epidemiologic studies, techniques exist to characterize uncertainty that can be applied to improve weight­of­evidence evaluations and risk characterization efforts. 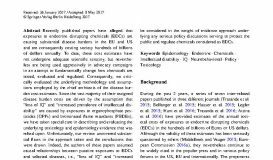 Recently published papers have alleged that exposures to endocrine disrupting chemicals (EDCs) are causing substantial disease burdens in the EU and US and are consequently costing society hundreds of billions of dollars annually. To date, these cost estimates have not undergone adequate scientific scrutiny, but nevertheless are being used aggressively in advocacy campaigns in an attempt to fundamentally change how chemicals are tested, evaluated and regulated. 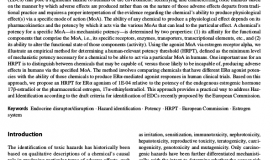 The European Commission has recently proposed draft criteria for the identification of endocrine disrupting chemicals (EDCs) that pose a significant hazard to humans or the environment. Identifying and characterizing toxic hazards based on which adverse effects are produced rather than on the nature of those adverse effects departs from traditional practice and requires a proper interpretation of the evidence regarding the chemical’s ability to produce physiological effect(s) via a specific mode of action (MoA). Given the potential for exposure to both humans and wildlife, resolving whether triclosan is endocrine active is important due to growing concerns about potential adverse public health and environmental effects of endocrine-disrupting substances. 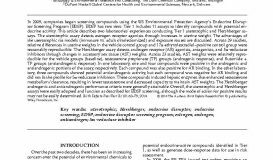 A weight of evidence (WoE) analysis focusing on specific hypotheses related to interaction with estrogen, androgen, and thy- roid hormone pathways, and steroidogenesis was applied to triclosan. 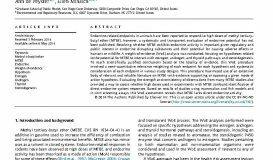 Endocrine-related endpoints in animals have been reported to respond to high doses of methyl tertiary-butyl ether (MTBE), however, a systematic and transparent evaluation of endocrine potential has not been published. 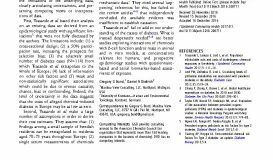 We describe a hypothesis-driven WoE approach for hormonally active agents and illustrate the approach by constructing hypotheses for testing the premise that a substance interacts as an agonist or antagonist with components of estrogen, androgen, or thyroid pathways or with components of the aromatase or steroidogenic enzyme systems for evaluating data within the US EPA’s Endocrine Disruptor Screening Program. 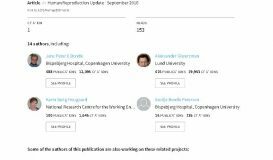 Published recommendations are used to evaluate data validity for testing each hypothesis and quantitative weightings are proposed to reflect two data parameters. While the Environmental Protection Agency and the Organization for Economic Cooperation and Development have developed validated in vitro and in vivo screening assays to measure interaction of substances with estrogen, androgen and thyroid pathway components, to date, methods to contextualize such results in terms of potencies and actual human exposures are lacking. 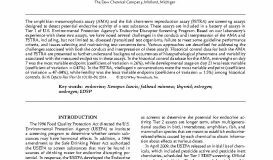 In 2009, companies began screening compounds using the US Environmental Protection Agency’s Endocrine Disruptor Screening Program (EDSP). 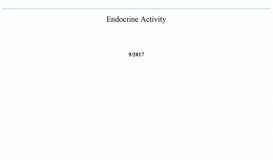 EDSP has two tiers: Tier 1 includes 11 assays to identify compounds with potential endocrine activity. 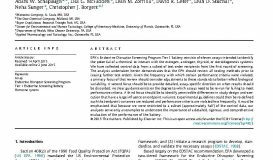 This article describes two laboratories’ experiences conducting Tier 1 uterotrophic and Hershberger assays. Trasande et al reported that limiting exposure to alleged endocrine disrupting chemicals would reduce the burden of adult diabetes by 13% and save €4.51 billion/year. 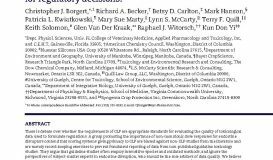 On review, however, their paper fails to meet standards for good practices in scientific reporting - stating the limitations of the underlying data, clearly articulating uncertainties, and presenting competing views or interpretations of data. 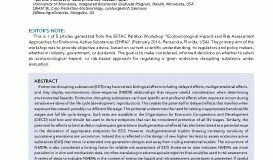 For ecotoxicological risk assessment, endocrine disruptors require the establishment of an endocrine mode of action (MoA) with a plausible link to a population-relevant adverse effect. Current ecotoxicity test methods incorporate mostly apical endpoints although some also include mechanistic endpoints, subcellular-through-organ level, which can help establish an endocrine MoA. 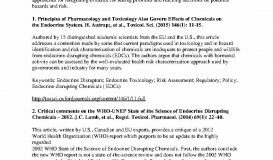 Whether thresholds exist for endocrine active substances and for endocrine disrupting effects of exogenous chemicals has been posed as a question for regulatory policy by the European Union. This question arises from a concern that the endocrine system is too complex to allow estimations of safe levels of exposure to any chemical with potential endocrine activity, and a belief that any such chemical can augment, retard, or disrupt the normal background activity of endogenous hormones. However, vital signaling functions of the endocrine system require it to continuously discriminate the biological information conveyed by potent endogenous hormones from a more concentrated background of structurally similar, endogenous molecules with low hormonal potential. 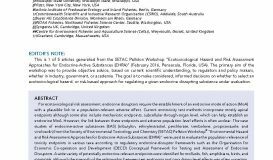 Weight of evidence (WoE) approaches are recommended for interpreting various toxicological data, but few systematic and transparent procedures exist. 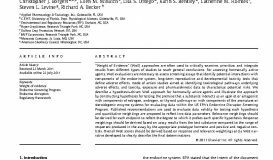 Here we present detailed rationale for weighting the ESB endpoints according to three rank ordered categories and an interpretive process for using the rankings to reach WoE determinations. 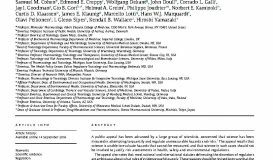 More than 20 years ago, it was hypothesized that exposure to prenatal and early postnatal environmental xenobiotics with the potential to disrupt endogenous hormone signaling might be on the causal path to cryptorchidism, hypospadias, low sperm count and testicular cancer. Several consensus statements and narrative reviews in recent years have divided the scienti fi c community and have elicited a call for systematic transparent reviews. We aimed to fi ll this gap in knowledge in the fi eld of male reproductive disorders. 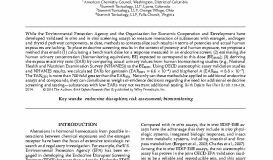 The 2008 National Research Council report ”Phthalates and Cumulative Risk Assessment: Tasks Ahead,” rejected the underlying premises of TEQ-like approaches – e.g., chemicals are true congeners; are metabolized and detoxified similarly; produce the same biological effects by the same mode of action; exhibit parallel dose response curves – instead asserting that cumulative risk assessment should apply dose addition (DA) to all chemicals that produce ”common adverse outcomes” (CAOS). 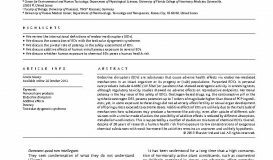 Ten structurally diverse chemicals (vitamins C, B9, B6, B3, sucrose, caffeine, gingerol, xanthan gum, paracetamol, ibuprofen) deemed intrinsic to modern life but not considered as endocrine active, were tested in vitro using the human estrogen receptor transcriptional activation (hERTa) and the H295R steroido - genesis assays. 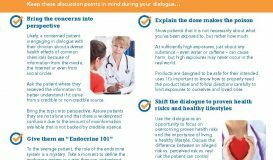 Endocrine-disrupting substances(EDS) may have certain biological effects including delayed effects, multi-generational effects, and may display non-monotonic dose–response (NMDR) relationships that require careful consideration when determining environmental hazards. 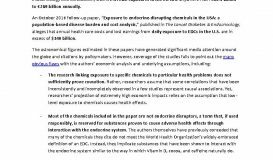 A public appeal has been advanced by a large group of scientists, concerned that science has been misused in attempting to quantify and regulate unmeasurable hazards and risks. The appeal recalls that science is unable to evaluate hazards that cannot be measured, and that science in such cases should not be invoked to justify risk assessments in health, safety and environmental regulations. A series of recent economic analyses by Trasande et al. 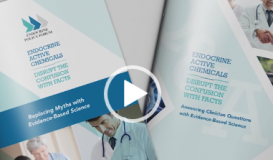 attempts to sound an alarm in both the U.S. and European Union over staggering health care costs and lost earnings estimates associated with diseases allegedly linked to low-level exposure to endocrine disrupting chemicals (EDCs). However, coverage of the studies fails to point out the many obvious flaws with the authors’ economic analysis and underlying assumptions. The EPF welcomes your input and questions.